Human beings are naturally tribal. Unlike those holier-than-thou sea turtles, we bipeds are drawn toward other members of our species with similar interests, characteristics and backgrounds. Fortunately, this biological quirk isn’t thwarted by the anonymity of cyberspace. 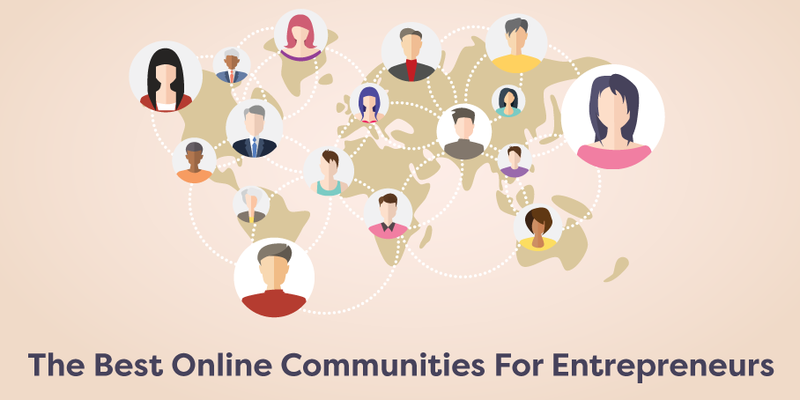 There are an unimaginable number of online communities floating around your silly human head right now, some of which can prove invaluable to your career. But which ones are worth joining? With its origins dating back to 2007, HN is an old man by Internet standards. But age has been kind. The HN community is sharper than ever and provides a welcome contrast to its meme-heavy social news competitors. If the URL wasn't an obvious indicator, HN is run by the startup incubator Y Combinator, and boasts more or less the same design as it did eight years ago. Like Reddit, HN is a social news platform dedicated to "anything that gratifies one's intellectual curiosity." Unlike Reddit, it tends to be much more civil. If you’re building a product or starting a business, HN is a great place to receive genuine, constructive feedback while avoiding trolls and skirting the hivemind. Looking for a civil, intelligent and helpful community of thinkers and makers. Interested in the latest and greatest marketing, tech and political news and happenings. Raise your hand if you remember LayerVault. Anyone? Up until this past April, LayerVault was a startup app providing version control to designers. Designer News was its sister site, and when LayerVault closed its doors, Andrew Wilkinson, the founder of MetaLab, bought up Designer News and kept it alive. Thanks Andrew! Designer News is to designers as Inbound.org is to marketers, and adopts a similar format as its marketing predecessor. Perhaps motivated by the site’s near-death experience, the Designer News community is remarkably civil and welcoming. Users hail from all across the globe, making the platform a hub for diverse opinions and perspectives. Designer News knows its audience well and offers them a variety of fun features. For example, some posts receive badges when they include a certain keyword. There was a time when the mention of “flat design” would automatically be gilded with a “beating a dead horse” badge. Users are also able to create their own avatars through the site’s in-browser pixel art editor. Searching for a simple, well-designed platform with a selection of fun and useful features. Interested in the latest and greatest design news, tech and discussions. Looking to promote your own content. Eager to connect with a diverse and knowledgeable community of helpful peers. Of all the virtual water coolers for marketers and marketing enthusiasts to gather around, Inbound takes the cake. Founded in 2012 by Rand Fishkin of Moz and Dharmesh Shah of HubSpot, Inbound is currently home to more than 78,000 members. The site’s format takes its cues from other user-curated platforms like Reddit, allowing users to upvote or downvote submissions. It also sorts posts into trending, most discussed and most read. This makes it easy for information junkies to find the most compelling content. And with a community of marketing experts at your disposal, Inbound is also a great place for questions and discussion. You can change the order of comments in discussions. You can group your favorite topics in one stream. Interested in the latest and greatest inbound marketing news, strategies and tech. Coined by Sean Ellis back in 2006, the term “growth hacking” refers to the process of "acquiring and engaging users combining traditional marketing and analytical skills with product development skills." GrowthHackers, as its name suggests, is a community of sharers, learners, teachers and content makers, all interested in the art of growth hacking. Do a quick side by side comparison of GrowthHackers and Inbound.org, and you’ll see that each website is remarkably similar in terms of design and site architecture. Like Inbound, GrowthHackers sorts its content based on a user voting system, allowing you to see what's trending and what's new. It also gives you the option to sort by topic. Articles and discussions on GrowthHackers often involve key growth hacking tools such as SEO, CRO, SEM, Link Building and API integrations. The team behind Growth Hackers is firmly against unethical growth tactics, and has worked hard to build a forward-thinking community of experimental marketers who rely on white hat growth hacking processes. Searching for an intelligent community of experimental marketers. Interested in the latest and greatest growth hacking news, tech and discussions. What began as a small link-sharing group on LinkyDink quickly grew into the Internet’s premiere destination for product lovers and makers. Every day Product Hunt shares a new batch of the most innovative products and invites users to vote and comment on them. To prevent spamming, flaming and underwhelming content, you must be invited by a member of the community before you can submit and comment. Because of the closed nature of the site, Product Hunt can sometimes feel like an echo chamber, with a shortage of diverse people and opinions. By and large, however, the site is filled with a thriving community eager to geek out about everything from friendship bracelets that teach girls to code to a search engine for startup journalists. It's important to note that Product Hunt isn't the best place to sell your own product. While a site like ShutUpAndTakeMyMoney caters more to your everyday online shopper, startups and entrepreneurs make up the bulk of Product Hunt’s audience. So while getting your product on Product Hunt may not do much for your sales in the short run, it is a great way to attract the attention of influencers and potential stakeholders. Interested in the latest and greatest products. Looking to attract potential stakeholders. Eager to connect with a community of knowledgeable, startup-focused users. Searching for feedback on your product. Although it’s a newsletter rather than a message board, Request for Startups (RFS) is like Product Hunt for ideas. Subscribers to RFS receive a hand-curated newsletter every week with ideas investors, companies, and influencers would like to fund. Yes, real venture capitalists use RFS to tell the world what they want to invest in. She went on to write, “I’ve not yet found a perfect tool or collection of tools for tracking, analyzing and leveraging my personal and professional networks to help myself and others.” She cites apps like Refresh and add-ins like Evercontact as products that come close to what she’s looking for, but ultimately fall short. Looking for startup ideas that venture capitalists are legitimately interested in funding. Interested in what’s trending in the startup community. Getting to know key investors and influencers. If you’ve ever typed a question into Google, chances are that a result from Quora made the first page. Quora is a question-and-answer website that prides itself on professional advice and diplomatic user interaction. Like most communities which experience rapid growth, Quora has dipped in quality over the last couple years, but it is still a priceless resource for entrepreneurs. This is partly due to the high number of respected subject matter experts who contribute to Quora on a daily basis. Some of the more well-known users are Steve Case, co-founder of AOL, Dustin Moskovitz, co-founder of Facebook, and Jimmy Wales, co-founder of Wikipedia. Quora also requires users to sign up with their real name. This helps prevent spam, multiple accounts and trolling. With their names on the line, users take a more thoughtful approach to what they write, as it can easily come back to bite them. Looking for advice, insight, or feedback from a responsible community of experts. Interested in communicating with well-known industry leaders. Comfortable with using your real identity, and the responsibility that comes with it. It would just be irresponsible if we failed to include Versioning, SitePoint's brand spankin' new community. Last year, SitePoint started a newsletter called Versioning, which aggregated the day's most important links. It was a hit, and as of today more than 10,000 people have signed up. The newsletter's success motivated a few SitePoint folks to take Versioning to the next level. Earlier this month they launched the Versioning community: "a place for kind web folk to share incredible internet things." Jump on to share something you've found or something you've made, peruse a wild array of new links, or just hang out with your fellow users. Looking for a new community of sharers and makers that is yet untainted by the ravages of time. Hunting for what's trending in the world of web development, web design, and marketing. Interested in providing feedback in order to make the community even better. Whether you’re hungry for feedback, mental stimulation or under-the-radar content, one of these seven communities will provide an outlet. Interacting with others in your field helps broaden the mind and tunes you in to new opportunities. You’ll learn new strategies, meet good people, and develop a more nuanced understanding of your industry, and where you fit in it. Let’s turn the comments into votes… Which one of these communities is your favorite and why?! Tell us in the comments below.